The Frank Speck papers contain one series, Papers, arranged by topic. 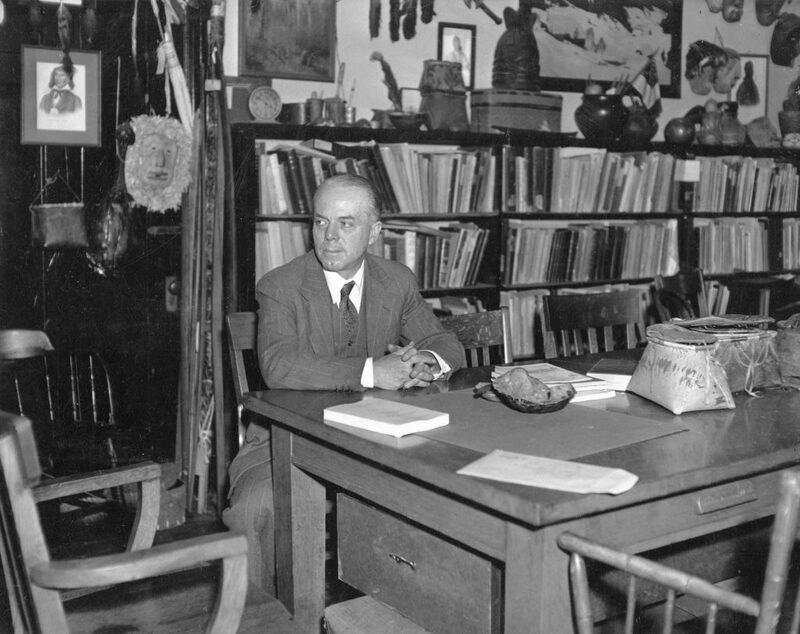 Frank Gouldsmith Speck was a professor of Anthropology at the University of Pennsylvania from 1925-1950. Born in Brooklyn, New York on November 8, 1881, he was sickly for most of his youth. At age seven, he was sent by his family to Mohegan, Connecticut, to live with family Friend Fidelia Fielding, in the hope that the rural environment would improve his health. During his time with Fielding, a widow and Native American who was the last speaker of her New England tribal language, Speck aquired his interests in literature, natural history, and Native American linguistics. Speck initially enrolled in Columbia University, where he was undecided on a major until his introduction to anthropologist Franz Boas. Deciding to pursue a career in anthropological linguistics, Speck became one of Boas’ first graduate students. In 1907 Speck left Columbia to accept a George Leib Harrison Research Fellowship from the University Museum of the University of Pennsylvania. The following year Speck received his Ph.D. from the University of Pennsylvania, where he remained for the rest of his career. 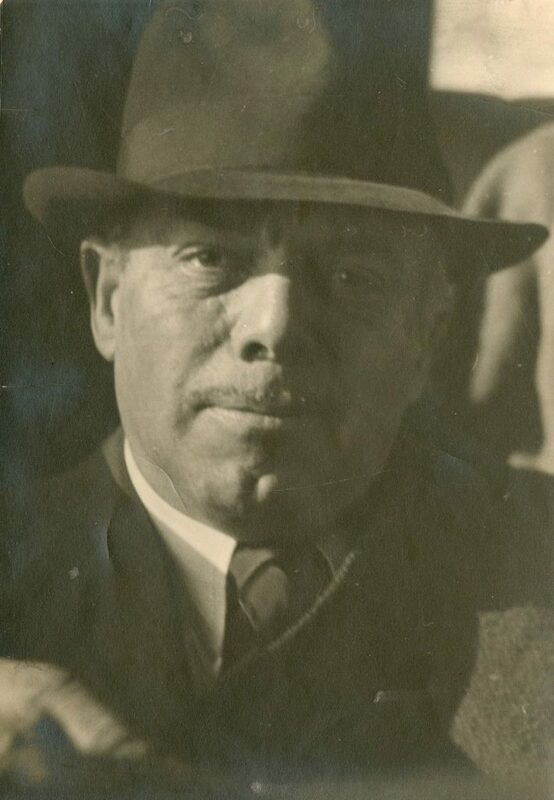 Speck, appointed initially as an instructor and assistant in general ethnology at the Museum, eventually rose to the post of chair of the Department of Anthropology, after its creation by the University. While Speck mentored the next generation of anthropologists (including Alfred I. Hallowell, and Anthony F.C. Wallace), his true love was field work. Not long after arriving at Penn, he began his study of Algonquins of the Eastern Woodlands as a “bedside ethnologist,” living with the people he was studying. His field work also included the collection of material culture; Speck donated many of these artifacts to museums. It was while on a field trip to the Red House, New York, in January 1950 to witness the Seneca perform their mid-winter rites that he became seriously ill. After returning home, Speck died at the Hospital of the University of Pennsylvania on February 6 at the age of 68. The Frank Speck Papers is a small collection consisting primarily of typed class lecture notes. These two folders focus on Native American studies, although there are no citations, making it difficult to determine if the information comes from Speck or other sources. Some notes are titled, and dated, others are not. The Biographical and Correspondence folder contains a few pieces of correspondence related either to publications or requests for Speck to appear at events; the biographical material relates to his activities or work at the time. The Professional Material folder has bibliographies of anthropological topics, and some papers written by Speck (including one related to the loss of trees on the University campus). Student Material consists of Term Teaching Records for 1931-1932, material relating to Alfred I. Hallowell (including two book reviews), and two book reviews by Walter Woodburn Hyde. The Speck Papers do not contain any ethnographic field work or notes, nor is the correspondence extensive. Additional biographical information on Speck as well as photographs can be found in his Alumni Records File. Frank Specks Professional papers are at the American Philosophical Society Library. Indians of North America–Study and teaching.